Karim Esmail is a Senior Private Banker with TD Wealth Private Client Group. He provides a high touch, holistic approach to high-net worth clients. Karim joined TD Bank in 2006 and worked in various roles with TD prior to joining Private Client Group in 2011. 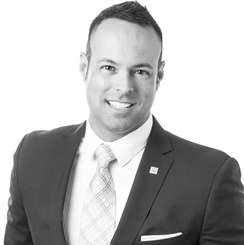 His previous positions include: Financial Planner with TD Wealth Financial Planning and various retail banking roles through TD Canada Trust. Karim specializes in Private Wealth Management to create and implement intergrated wealth managment solutions. This can include estate, trust and tax services, business succession planning, investment strategies and investment management. Karim holds his Certified Financial Planner (CFP) Designation, Chartered Investment Manager (CIM) Designation, Certified International Wealth Manager (CIWM) Designation, and is a Fellow of the Canadian Securities Institute (FCSI) for his contributions to the Canadian Financial Services Industry.